Already an accomplished actress, singer, wife, mother, blogger and established fashionista, Gwyneth Paltrow can add culinary diva to her resume. Her recipes are easy to follow, make use of the freshest ingredients at your grocery store and are unbelievably scrumptious. Having had my hot little hands on a copy of My Father’s Daughter for less than a week, I’ve already made my way through five recipes. 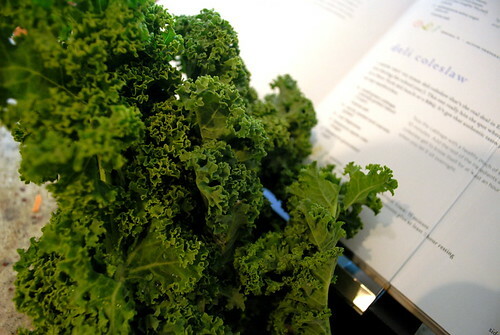 The first recipes featured in my new cook-along project, G-ology, highlight vegetable stock and kale chips. 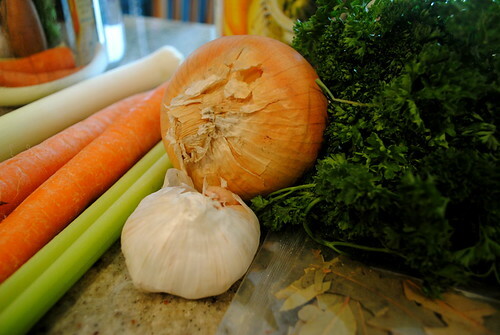 Have you ever looked at the ingredients in cubed vegetable stock? Salt tops the list with MSG close behind. Actual vegetables and so-called natural flavours barely make the cut. 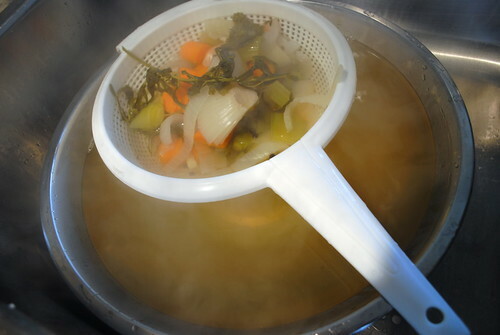 True vegetable stock – a must for any hearty winter soup – is the real deal. Without a proper stock pot, I loaded the biggest pot in my kitchen with fresh chopped veggies, savoury herbs and barely a pinch of salt. With all the herbs floating on top, the scent of the stock cooking down was nothing short of intoxicating. Useful for a handful of the recipes in MFD, this vegetable stock will be a key component in my attempt at G’s butternut squash soup this weekend. Without any preservatives, the remaining stock will also be handy to have as it will freeze well for up to six months. 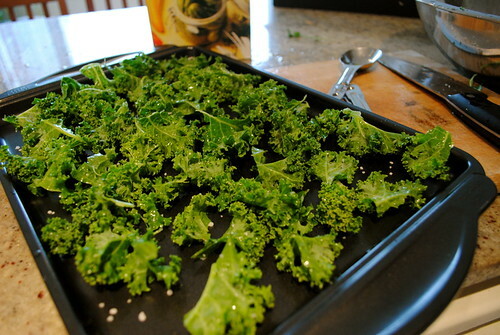 Another quick and easy recipe that caught my eye was home-baked kale chips. I’ve long been curious about this leafy green cabbage, packed with dietary fibre, protein and a ton of essential nutrients. I was also under the impression that kale chips were something of a “hippie snack” and was completely skeptical that torn leaves could actually bake into crunchy chips. 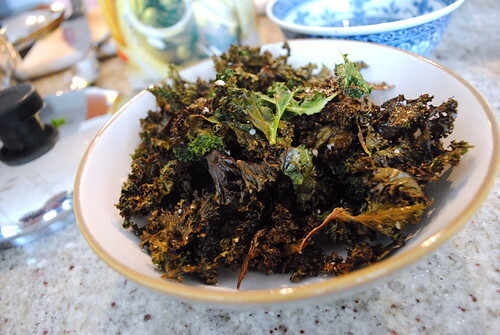 Tossed with basic ingredients, the kale chips basked in the heat of the oven for several minutes, allowing the green leaves to turn brown and crispy. A bit of coarse salt added that extra kick that snackers often crave. The verdict? Delicious! While kale chips are fragile and would likely crumble easily, it’s an easy to grab snack when you’re watching TV or keeping busy in the kitchen. It’s quickly become a must-have snack in my home. Until June 2nd, you can enter to win summer blockbuster movie passes from Cineplex Odeon and experience brand new UltraAVX technology. Click here to enter. I tried kale chips like this for the first time last month and I can attest to their yumminess! definitely trying these kale chips. I had loads of kale last year from my CSA and made up some kale chips that turned out really well. Kale pesto is another one I want to try. 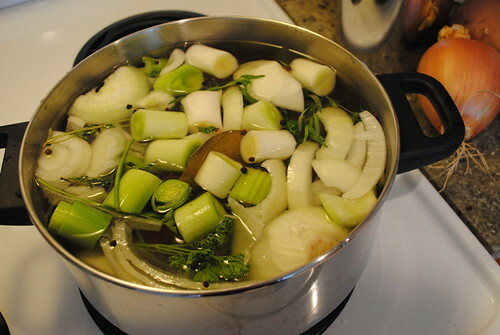 I mostly do chicken stock because it’s our main source of calcium, if you add a TBspoon of apple cider vinegar to the water, it will extract the calcium out of the bones, I often have the boys just drink the broth.